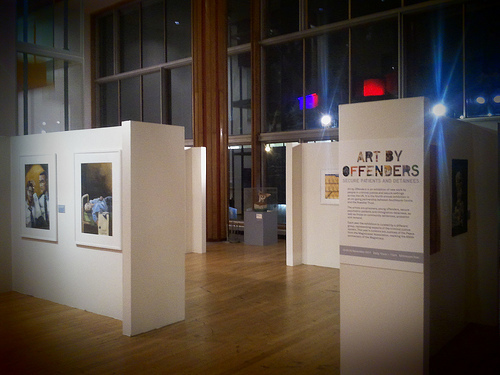 With the 60th anniversary celebration of the Festival of Britain firmly put to bed last month, the time has come for new things at Southbank Centre, and until 20th November visitors can enjoy an interesting exhibition of Art by Offenders, Secure Patients and Detainees. We are told that the exhibition is curated by magistrates and run by the Koestler Trust, the UK's best-known prison arts charity. It is free, and can be found in the Spirit Level and Level 2 Foyers at the Royal Festival Hall.